Searching for the best organic, eco-friendly and natural mattress online is now an even bigger challenge. Every bed and mattress company claim to hold the secret recipe for our ultimate night of deep slumber. Many mattress companies are very good and a few are great, but what happens when you add another element or qualification in your hunt for the elusive best rated mattress ever? We love finding the mattresses that are made without harsh chemicals and toxic fire retardants. We jump for joy about the organic mattress companies that spend extra time and money on sustainable beds. We uncovered the diamonds in the rough - the best organic mattress online, from online mattress brands that focus on making a difference. The online mattress companies use different types of safer materials, fabrics, foams and fibers in their production. Examples include eco-friendly memory foams, all natural latex, and good organic fibers - none of these contain harsh flame retardants or toxic chemicals. Some of our favorites give back to those in need or the local communities. Through our research of sleep aids to eye masks to mattresses, we uncovered an enormous amount of information on organic mattresses - both good and bad about mattresses, motion transfer, the shopping experience and lots more. We are only including the good we found to highlight these companies for what they are and their commitment to making a better product. Through innovation and ingenuity, these mattress companies have created the best natural, organic and eco-friendly mattresses online. Avocado Green Mattress is on a mission to promote affordable luxury mattresses that are also better for your health and the planet. They make eco-friendly, non-toxic chemical free mattresses with natural and organic materials - including 100% natural Dunlop latex, OEKO-TEX certified Joma New Zealand Wood, and GOTS certified organic cotton. During our Avocado mattress review, we were really pleased that they are entirely GREENGUARD Gold certified. They offer a gentle-firm Standard mattress (ideal for back and stomach sleepers) and a luxurious Pillow-top mattress (best suited for side sleepers and back pain relief). Both Avocado mattresses are hybrids with zoned support for better hip and shoulder contouring, and a reinforced seating edge for strong side support. Avocado Mattress offers free shipping, free returns, 100 night sleep trials, free financing and a 25-year warranty. Their 11-inch mattresses are handmade to order in California, and their materials are recyclable and biodegradable. Avocado is also a member of 1% for the Planet, and donates 1% of all revenues back to environmental nonprofits. Avocado Mattress Reviews | YOTPO verified mattress reviewers expressed their happiness with firmness, chemical free mattress, customer service and lack of odor. Avocado Green Mattress Coupon Code | Use NATURE150 for $150 Off any mattress + Free Shipping - good through April 29th or click the Avocado Mattress Sale for additional offers. Live and Sleep is one of the most affordable and comfortable eco-friendly memory foam mattresses on the market. Co-founders Dan and Ryan researched and tested over 100 types of foam to find the ideal comfort, just right back support and had virtually no off-gassing. They could not find a real "green" mattress at an affordable value price. So they created their own luxury non-toxic and eco-friendly mattress. Live and Sleep mattresses are CertiPUR-US Certified and are produced in state-of-the-art contained environments to reduce chemicals and create a much better quality mattress. Additionally, the foam in the mattresses are OEKO-TEX Certified and they use smart recycled packaging to reduce their carbon footprint. Not only do they include 2-day free shipping, a free memory foam pillow, 20 Year Warranty and customer service that is lightning fast, they also give part of their profits to the National Alliance to End Homelessness (NAEH) - one of the top charities on Charity Navigator. Live and Sleep Mattress Reviews | Over 95% of Live and Sleep customers gave the mattress a 5 star YOTPO® verified review. Reviews of Live and Sleep mattresses average 4.8 out of 5 stars and most mattress feedback highlights great comfort and mattress support, fast shipping and amazing customer service. We are BIG fans of Live & Sleep. Live and Sleep Coupon Code | Use CITRUS for $200 Off Live and Sleep Luxury mattress + 2 Day Free Shipping + Free memory foam pillow - good through April 30th. PlushBeds is taking over the natural and organic latex mattress market and memory foam as well. Not only is their latex 100% USDA Certified Organic, but also are GreenGuard Gold Certified, only 1% of mattress companies receive this. They are low VOC (bad chemicals), non-toxic and prove beneficial to everyone. PlushBeds are the premier of luxury latex mattresses and are some of the most comfortable mattresses on the market. Every best rated mattress includes a 25-year warranty, 100 day sleep trial and world-class customer service. Plush beds offers more than just mattresses, they offer pillows, toppers, adjustable beds and sheets as well. Great mattress brand and happy we were able to offer a PlushBeds mattress review. Plush Beds Reviews | Mattress reviews often spoke of the outstanding customer service and talked about extreme comfort and fast delivery. Nest Bedding offers one of the few lifetime warranties for mattresses in the industry. Their best rated mattresses are certified non-toxic and have excellent breathability and will help minimize motion transfer. The mattress we tried for our Nest mattress review is their Alexander mattress and we were impressed with how cool we remained on it. They offer multiple mattresses from natural latex to organic cotton and non-toxic polyurethane foam. The west coast based company believes in keeping everything American made. We slept great on their mattress, especially when we added their GOTS Certified organic sheets on it...good luck getting out of bed. Nest Bedding Mattress Reviews | YOTPO verified reviewers love the comfort and support from Nest Bedding. Overall, great reviews on all products. 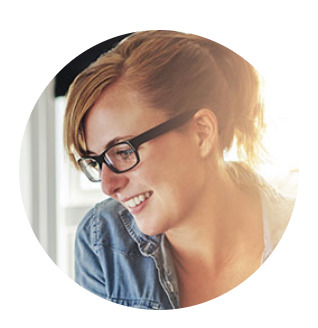 Nest Mattress Coupon Code | Use NEST5 for 5% Off total order. My Green Mattress focuses on healthy sleep, especially parents who are eco-conscious consumers. They use GOLS Certified Organic 100% natural Dunlop latex and cover their natural latex mattresses with both natural organic wool and cotton. My Green Mattress organic mattresses are made with organic and non-toxic materials including OEKO-TEX certified fabric covers and filling and GOTS certified organic cotton. They are very proud of their mattresses natural wool fire barrier and donate upwards of $75,000 in mattresses to a variety of charities each year. They offer organic mattresses in 7-ich and 9-inch American made latex mattresses starting at $1099 with a 25-year warranty and 100 night sleep trial. They have a range of organic mattresses including baby and kids' collections and pillows, sheets and toppers. My Green Mattress Reviews | Sierra Club and Crisbie Award winners and affordably priced. My Green Mattress Coupon Code | Use GREEN100 for $100 Off on every mattress. DreamCloud is a New York based ultra luxury mattress company that has redefined the luxury hybrid mattress category. Their mission was to develop the best sleep experience with "don't want to get out of bed" comfort and unparalleled value. Their 15 Inch individually pocketed coil hybrid mattress is CertiPur-US Certified, cradles your entire body and relaxes you into blissful sleep. Natural cashmere and latex both combine to create such a unique soothing feel and the "can't feel your partner" coils allow for extra refreshing deep sleep. The best rated mattresses are hypoallergenic and DreamCloud states they will prevent bed bugs too. No chemical flame retardants and they are so confident you will love it, they give everyone 365 days to try it out. DreamCloud Mattress Reviews | Average reviews on site are 4.8 out of 5 - most reviewers loved the mattress comfort and bells and whistles. Layla Sleep was started by 2 brothers out of Silicon Valley. Their 10-inch mattress is a copper infused memory foam mattress to provide better cooling and improve blood circulation due to the antioxidants and anti-inflammatory properties of it. Their American Made mattresses are shipped to your door compressed in a box, and after you give them a few hours to expand they are ready to go. Layla is non-toxic and focuses on the little stuff such as using water and food based adhesives to reduce off-gassing. Layla Sleep is proud that they have low VOC emissions and are CertiPUR-US Certified. This mattress-in-a-box is impressive. Layla Mattress Reviews | YOTPO® Verified Reviewers appreciate Layla’s emphasis on being a conscious business, focused on creating high-quality beds and being made in the USA. Puffy has designed their eco-friendly mattress for optimum sleep health. Their patented top layer took 4 years to research and develop the right feel, minimize motion transfer, support and adaptive cooling technology. Health benefit claims from sleeping on a Puffy mattress include improved blood circulation and pressure relief. Our Puffy mattress review liked the firm body support and highlight their environmentally friendly manufacturing which enables handcrafting for top quality production and few returns. Their 10-Inch best rated mattress is CertiPUR certified for no harmful chemicals and is a non toxic mattress. Puffy Mattress Reviews | Happy YOTPO verified Puffy mattress reviewers showed their pleasure with back pain relief, easy buying experience and fast delivery. Eco-Terra Mattress hits on the “just right” feel. Made with 100% all-natural latex on top of encased coils, gives their mattresses a comfort and support second to none. The soothing soft touch of the organic cotton covers makes you think twice about adding sheets. The Eco Terra mattress is OEKO-TEX certified and includes and 15-year warranty. They offer a choice of 2 different comforts and each bed is handcrafted at their Los Angeles factory plus includes free shipping and a 90 night sleep trial. There are no toxic flame retardants in the chemical free mattress and they use an eco-friendly fire barrier made from plant fibers. During our EcoTerra mattress review, we have become raving fans of this non-toxic mattress. 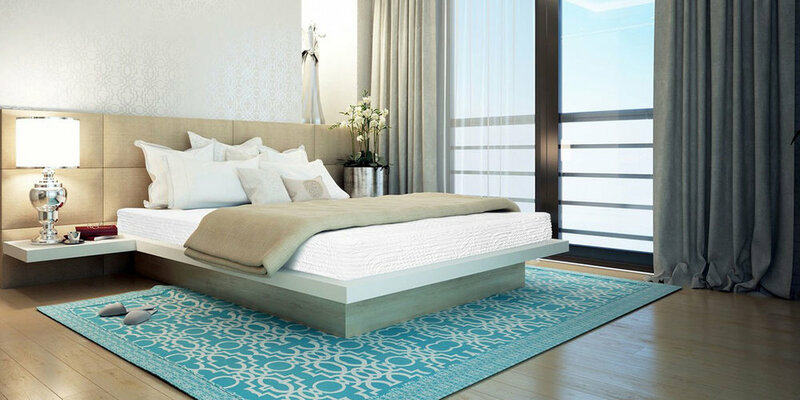 Eco Terra Mattress Reviews | YOTPO verified Eco Terra mattress reviewers expressed their happiness with edge support, comfort and no off-gassing. Naturepedic EOS organic mattress is a new eco-friendly custom latex mattress redefined for custom deep sleep for you and your partner. They tested over 1,000 different prototypes before finding the ideal mattress. They are proud to manufacture their GOLS certified organic latex mattresses in the USA in Chagrin Falls, Ohio and feature both anti-microbial and hypo-allergenic benefits to their 12-inch mattress. Not only are their mattresses universally comfortable, but also utilize custom support options for each individual to eliminate morning aches and pains. Not to worry, for those with latex sensitivities, you will have the option to build your custom eco-friendly mattress with breathable microcoils. Shop with confidence when you investigate Naturepedic EOS mattresses as the entire mattress is GOTS certified organic. Every Naturepedic EOS mattress includes a 20-year warranty, free shipping and a 90 day guarantee. Available in all sizes - Twin, Twin XL, Full, Queen, King and Cal King. Naturepedic Reviews | Naturepedic reviewers rave about outstanding customer service, the luxurious quality, overall comfort and eco-friendly materials. Sweet ZZZ mattress are handmade in the USA and offer a truly eco-friendly mattress option. The mattresses are made out of 100% Natural Talalay Latex which offer a cool hypoallergenic and refreshing sleep experience. All mattresses are OEKO-TEX Certified and use a natural anti-allergenic durable wool and cotton cover. In addition, the mattresses are encased with a natural wool fire retardant barrier. We added this Sweet ZZZ review to our list not only for their green friendly mattress but because of their support for give back initiatives including Los Angeles Regional Food Bank, Breast Cancer Research Foundation, and One Percent for the Planet. The Sweet ZZZ queen size mattress includes a 100 Day Trial, Lifetime Warranty, and Free Standard Shipping. Sweet ZZZ Reviews | Sweet ZZZ reviewers rave about the mattress price, quality, overall comfort and sleeping uninterrupted. Nectar Sleep has jumped in head first into the mattress-in-a-box online mattress category and is an eco-friendly mattress with exceptional comfort. Their mission is encouraging as it focuses on a balanced life with sleep being the prime component to this balance. Additionally, Nectar mattress uses sustainable Tencel fabric in their mattress covers to make their environmentally friendly mattress. Their queen size mattress includes a 365 Day Trial, Free Shipping and a Forever Year Warranty. Nectar Sleep Mattress Reviews | Nectar mattress reviewers loved the mattress quality, body support and waking up pain free. Essentia mattresses are luxury on top of luxury and they are the most eco-friendly, organic and natural chemical free mattresses we have tested. Luxuriously soft and plush, yet with solid back support, we always awoke pain free and love this top-of-the-line organic mattress from Essentia. The Essentia mattress factory is very proud to show off their many certifications, including Global Organic Textile Standard, Global Organic Latex Standard 3.0, Exova tested and approved for clean air and no VOC's, worker safety tested, EuroLatex ECO-Standard, OEKO-TEX Certified, approved by the Organic Trade Association, Green America Certified and GreenGuard Certified. This famous Canadian mattress brand offers organic, natural and environmentally friendly mattresses with a range of feels from plush mattresses to firm mattresses. For our Essentia mattress review, we were excited to test out Essentia's best rated mattress and are very impressed by it. Their mattresses include a 60 night sleep trial, financing, 20 year warranty and free shipping. Love their pillows, organic sheets and natural dog beds as well. Essentia Mattress Reviews | Exceptional Essentia mattress reviews for cooling, eco-friendly and overall love for the mattresses. Essentia Mattress Coupon Code | No code required for 17% Off Lifestyle, Performance and Wholebody Mattress Collections + Free Shipping - good through April 30th. Hyphen Sleep is a new eco-friendly foam mattress re-envisioned for maximum deep sleep. They tested over 1,000 different prototypes before finding the ideal mattress. They are proud to manufacture their copper infused memory foam mattresses in California and feature both anti-microbial and hypo-allergenic benefits to their 10-inch mattress. Not only are their mattresses universally comfortable, but also utilize orthopedic support foam to eliminate morning aches and pains. All of their foams are CertiPUR-US Certified for no harmful chemicals or bad fire retardants. Every Hyphen includes a 20-year warranty, free shipping and a 100 night sleep test. Hyphen Mattress Reviews | YOTPO® verified reviewers talked about easy setup, firm mattress comfort and well made. Hyphen Mattress Coupon Code | Use code GRATEFUL for $150 Off any Hyphen Mattress + Free Mattress Protector - good through April 30th. Aviya mattresses are handmade in Ohio using the best sustainable and environmentally friendly materials. Their hybrid mattress is non-toxic and contains no harmful chemicals. Each mattress is eco-friendly and has 800 encased wrapped coils (queen size) for added support and durability. Our Aviya mattress review highlights them as a great mattress brand and includes a 100 Night Trial, Free shipping and 10-Year Warranty when you buy the mattress online. Aviya Mattress Reviews | The Aviya mattress gets top accolades for customer service, choice of comfort and not being bouncy. Aviya Mattress Coupon | Use code TAXDAY for $150 OFF any Aviya Mattress - good through April 18th.